More and more, guitarists are relying on expression pedals for conjuring on-the-fly control over their effect parameters. With the introduction of the EHX Expression Pedal, you're now able to get that same control in a rugged but lightweight pedal with a few extra bells and whistles. The Expression Pedal boasts polarity and reverse switches for fine-tuning the pedal's response to your effects. And you'll also fall in love with the EHX Expression Pedal's onboard range control. 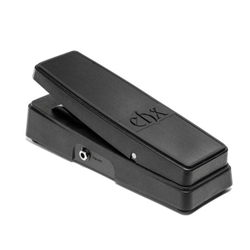 Every player needs an expression pedal, and EHX's is one of the most powerful and convenient available.